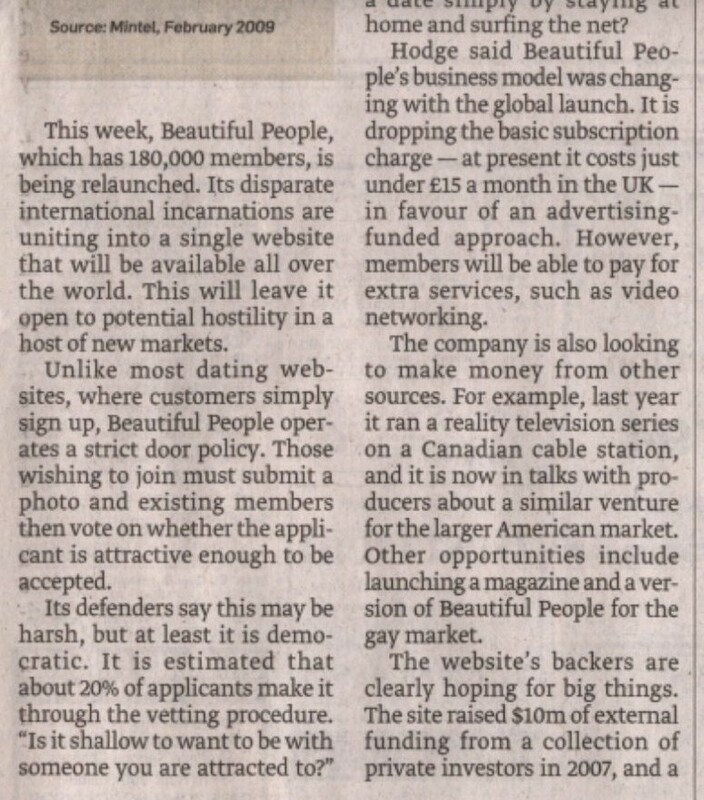 Today, BeautifulPeople.com goes global – becoming the biggest network of beautiful people in the world – and Golden Goose PR is running the global press office. To say that our phones haven’t stopped ringing is a bit of an understatement! A pre-launch global exclusive ran as a full page in the Sunday Times yesterday, and today we’ve had some brilliant coverage in the Daily Mail, the dailymail.co.uk and the telegraph.co.uk as well as media interviews with BBC 2’s Chris Evans Show, Talk Radio, 7 Days in Dubai, La Gazette in Berlin, Radio WM and live debate on Loose Women. Tomorrow, Greg Hodge, MD and Robert Hintze, site creator, appear live on Belgian TV News and on Wednesday, their interview with the Arabian News network will reach 50 million people on the other side of the world. 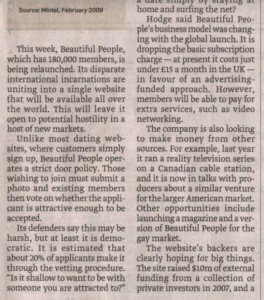 The interest in BeautifulPeople.com continues to be phenomenal, with coverage for the global launch already eclipsing the UK and US launches managed by GGPR in 2005. Watch this beautiful space for more head turning media hype…. !